Avon Ideal Flawless BB Skin Loving Beauty Balm – The new BB cream from Avon, which promises to deliver ‘moisture and spf15 protection without clogging pores’. It’s a lightweight bb cream containing mineral pigments. Like most BB creams, this is a basic tinted moisturiser with added extras. It has an almost watery consistency and gives very ligh coverage, so you might need to add concealer to hide more pronounced blemishes. Overall, it is a good tinted moisturiser, evening out your skin tone to some extent. Available in 6 shades from Avon priced £12.00. 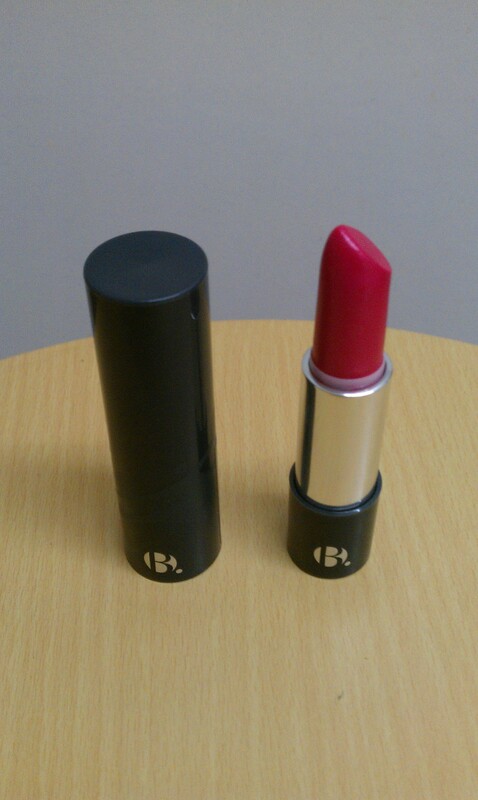 The lipstick above is from the new makeup line B, available at Superdrug. Ther is a whole range of products in the line, eyeshadows, nailpolish, foundation amd powets etc. including a skincare range. The lipstick is called Pizzazz and I really like the shade. It is highly pigmented and doses last well on the lips. 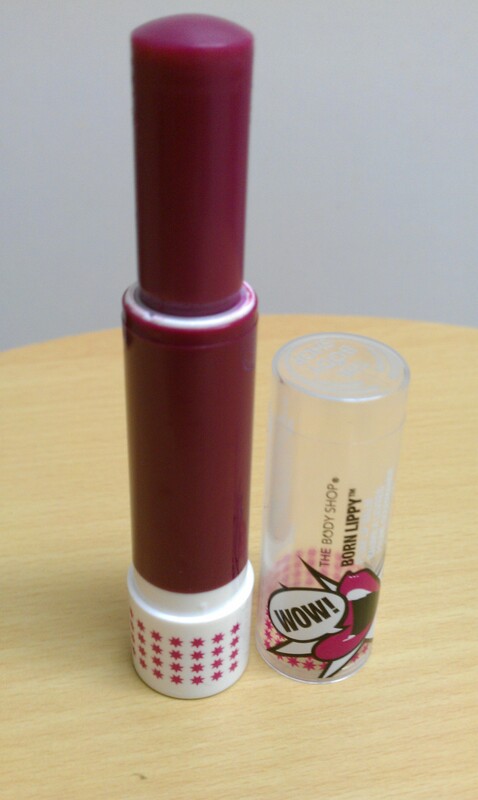 It applies smoothly to the lips and is quite moisturising. I foung it quite tricky to open at first, before I realised you have press the bottom in order to release it from the tube. Above is another product from the B.range. The eyeshadow is called B. Vivid. If you like a sheer eyeshadow look, then this product is for you as this is not the most pigmented eyeshadow. 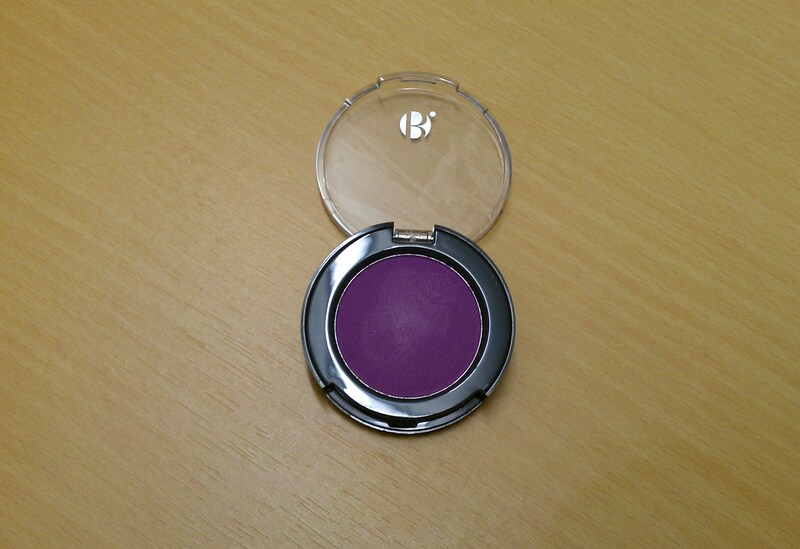 Its a lovely violet shade and I think it works much better if used with a primer. I will keep using this though (with a primer) as I love the shade. I love this Born Lippy Plum Lip Balm from The Body Shop! What can I say? Firstly, it has the most gorgeous fruity fragrance, and secondly, it feels so smooth and soothing on the lips and last bot not least. it moisturises my lips like a dream and it’s only £3. I have also been loving the above tinted lip balm from Miss Sporty, called Honey Moon Kiss SOS. 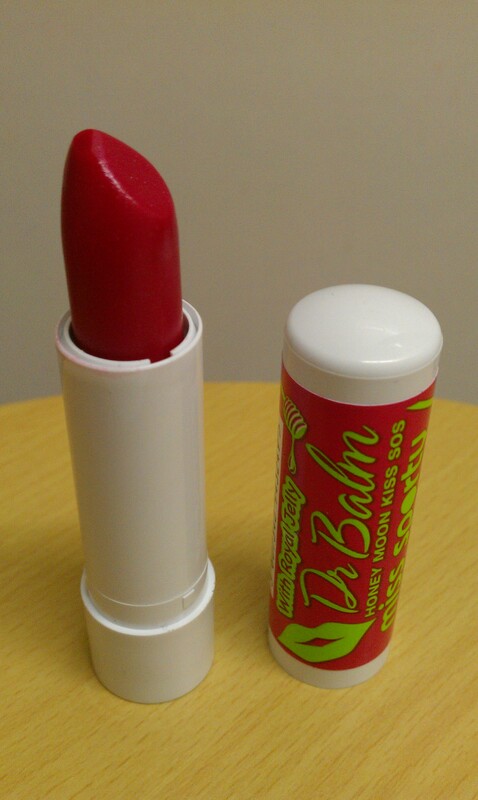 This contains royal jelly, is very moisturising and gives your lips a lovely berry tint. 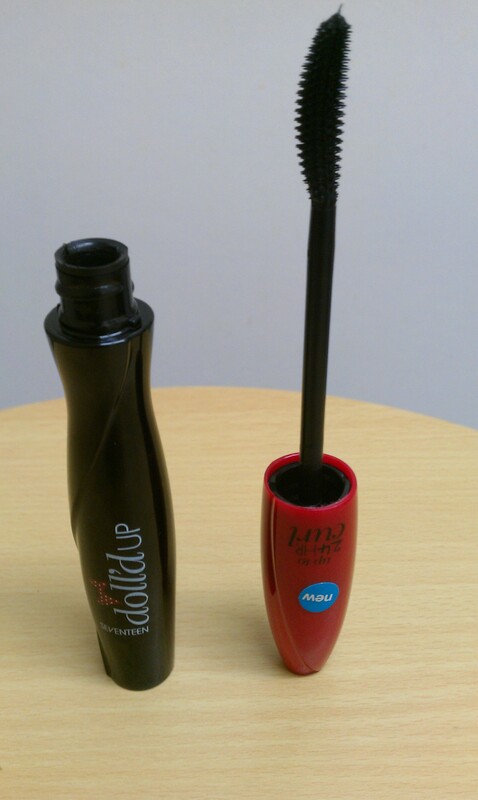 Pictured above is the new Dolled Up Mascara from Boots Seventeen.This mascara promises to keep your eye lashes curled for up to 24 hours. I have been using this mascara but not 24 hours a day, All I can say is that it thickens my lashes beautifully, and gives them a bit of a curl. 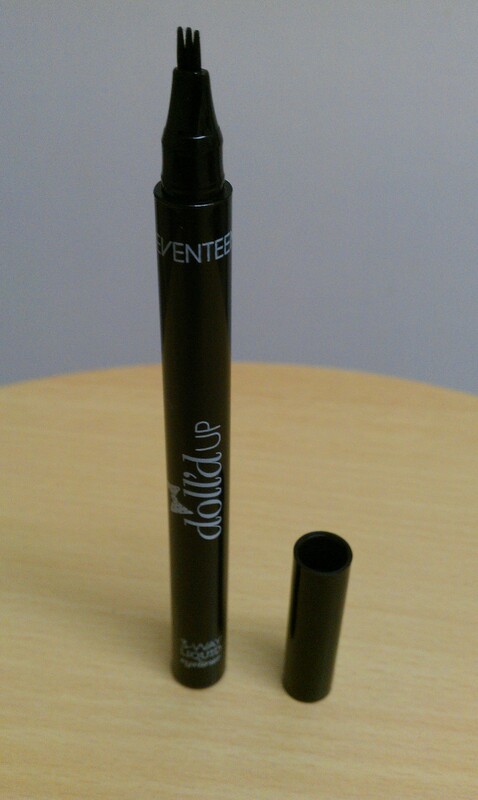 I love the concept of the Dolled Up Eyeliner from Boots Seventeen. 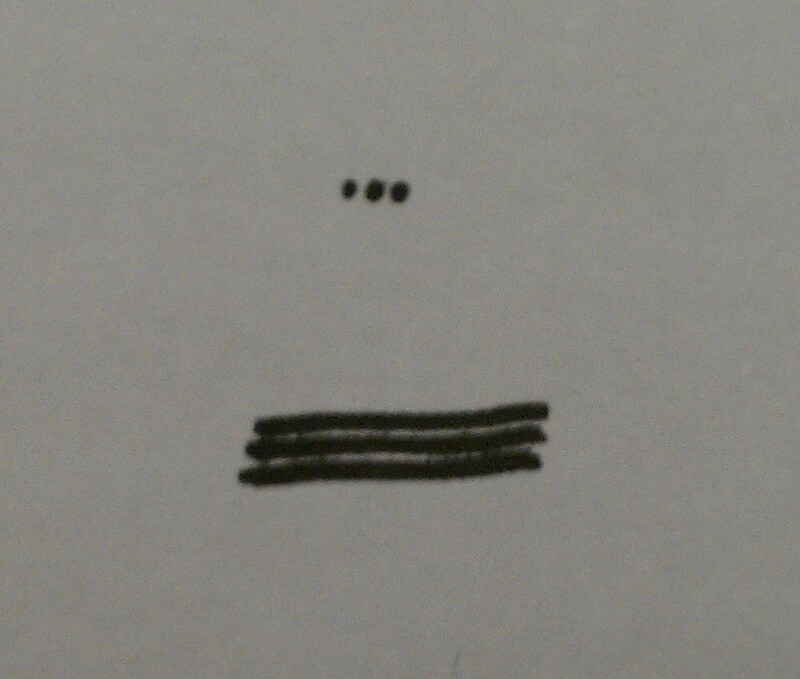 This has three applicator tips in one, enabling you to use the dotting technique, which allows you to apply very close the lash line to create the illusion of fuller lashes. I have loved using this because I find it easy to apply close to my lashes and it does help create a fuller lash look. 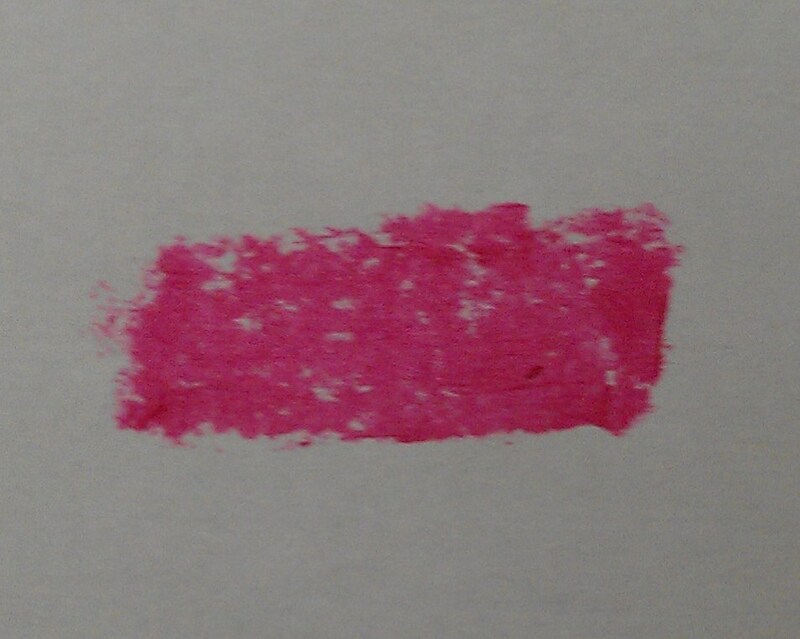 It is very pigmented and long lasting as well.